One argument that is often advanced against the claim that G. K. Chesterton was antisemitic is that some Jews have defended him from the charge. This is true. Michael Coren, a Jewish convert to Catholicism, is just one recent example. No doubt there were other Jewish fans of Chesterton then as there are now. Laurence Solomon, one of Chesterton’s friends, no doubt defended him from the charge. It would be interesting to know how he perceived and reacted to Chesterton’s caricatures and stereotypes. As Richard Ingrams recently asked in the Tablet, did Chesterton really believe that his Jewish friends would be okay with being “forced to wear an Arab-style headdress in public” and being forced to “live in a ghetto?”  Did these ideas irritate his Jewish friends Did they simply ignore them? Did they find them amusing? In most cases there is no way to know. The author Gladys Bronwyn Stern, another Jewish convert to Catholicism, regarded Chesterton as a saint. As early as the 1950s she wrote that she would “offer no apology for the habit which has gradually stolen in on me, of regarding two close friends whom I have never met, G. K. Chesterton and Baron von Hügel, as undoubtedly saints” . However, the fact that some Jews have defended Chesterton as a saint, though true, is a questionable defence. As Joseph Pearce, one of Chesterton’s most fervent defenders, has noted, “it is true that the adage ‘some of my best friends are Jewish’ is not, in itself, an adequate defence against the charge of anti-Semitism” . Whilst some Jews have defended Chesterton, a number of his Anglo-Jewish contemporaries regarded him as an antisemite. The Anglo-Jewish author Israel Zangwill has been cited in Chesterton’s defence on a number of occasions. It is often claimed that they were close friends. It took some digging but I did in fact find a couple of letters that suggest that prior to 1916 some sort of amicable relationship may have existed between the two authors. However, from 1916 onwards, Zangwill argued that Hilaire Belloc and G. K. Chesterton were antisemitic on a number of occasions. For more on this, see the claim that Chesterton and the Anglo Jewish author Israel Zangwill were friends. The three prominent Anglo-Jewish newspapers during Chesterton’s lifetime, the Jewish Chronicle, Jewish World and Jewish Guardian, were all critical of Chesterton’s antisemitic discourse. In June 1918, the Jewish Chronicle criticised G. K. Chesterton for his accusation that the Jews carelessly trampled people underfoot as they rushed to the tube stations during air raids. The paper stated that “we cannot congratulate Mr. G. K. Chesterton on the reply he makes to the Jewish World on the questions that journal addressed to him. Mr. Chesterton’s paper, the New Witness, referring to the last air raid, asserted that while the attack was dealt with in a highly satisfactory way ‘the conduct of Jews of all classes during these raids continues deplorable in the extreme.’” The Jewish Chronicle observed that based on a “hotch-potch” of so-called evidence from “a lady sub-editor [i.e. Ada Chesterton], her maid, and unknown chatterers at Euston, Jews of all classes … are accused of deplorable cowardice and bad conduct in the extreme.” It stated that this was “a cruel and reckless libel upon a Community which has sent its sons by the thousand to the Front, and is every day called upon to suffer new pangs and fresh bereavements.” The Jewish Chronicle reported that Mr. Chesterton argued that it was more important to understand the cause of these Jewish rushes than to deny “so vast a popular impression as that of the different attitude of Jews and Gentiles towards the War.” “The spectacle of Mr. G. K. Chesterton bidding us bow down before a ‘vast popular impression,’” was, the paper concluded, “deliciously funny” . When quizzed by the editor of the Jewish Chronicle as to whether he himself had witnessed Jews cowering in tube stations, Chesterton admitted that he had not personally witnessed this, but he argued that it was a matter of common knowledge. He stated that “the problem of aliens in air-raids is a thing that everybody knows.” He also argued that he could not be expected to go looking “for Jews in the Tubes, instead of going about my business above ground.” He concluded be stating that: “if my London affairs had led me, as well as my colleagues, into the Tubes during an air-raid, I suppose I should have seen what they saw; and the editor [of the Jewish Chronicle] would have refused my testimony as he refused theirs.” . Referring to “Mr. G. K. Chesterton” in an article on 11 October 1918, the editor of the Jewish Chronicle concluded that: “The argument against active self-defence, the surest of which, is counter-attack, is the well-known one – suppose our counter-attack fails? But that is, in essence, cowardice. This way lies disintegration and defeat. This way lies biting the dust of our eternal heritage. It were far better to fail in a counter-attack against the enemies of our people; it were far better to fail in active self-defence than not to try. It were far better to fall than to allow the ruthless, venomous Chestertons and Bellocs et hoc genus to trample upon our prostrate bodies with their brutal, heavy-footed, relentless anti-Semitism. Hit back! Hit back! Hit back! is the lesson for us, to be learnt by us from the ages through which we have lived” . The Jewish World also criticised G. K. Chesterton and Hilaire Belloc. For example, a series of articles from 23 June through to 22 September 1920, criticised Chesterton for suggesting that the Anglo-Jewish newspapers published the honour rolls of German-Jewish soldiers killed in the war, with the added twist being that Chesterton claimed that this was by no means unreasonable as Jewry constituted a separate and distinct nation . “Mr. Chesterton,” the Jewish World concluded, “now pretends that he does not see why we are so anxious to repudiate his allegation. That is really touching. He starts out to show that English Jews are not loyal to this country though they are its citizens, and then expresses surprise that we desired to repel the insinuation by showing that the proof he relies upon is false” . For more examples from the Jewish Chronicle and Jewish World, I would recommend an article by Dean Rapp, “the Jewish Response to G. K. Chesterton’s Antisemitism, 1911-33,” published in Patterns of Prejudice . Chesterton’s The New Jerusalem, published in 1920, argued that Jews could never be proper Englishmen. Chesterton suggested that Zionism was a good idea and that Jews who choose to remain in England rather than travel to Palestine should be given a “special position best described as privilege; some sort of self-governing enclave with special laws and exemptions.” They should also, he suggested, be obliged to go about swathed in the robes of an Arab . The Jewish Guardian responded by stating that Chesterton had contrived to “write a really stupid book.” The paper suggested that Chesterton would probably “account it a sign of inherited financial preoccupation if one poor Jewish bookman remarks that 12s. 6d. is a high price to exact for 300 empty pages” . On 11 November 1921, the Jewish Guardian reported a lecture by Chesterton to a Jewish organisation called the “Ghetto Circle.” The paper suggested that Chesterton proposed to discuss “national traditions in Europe,” whilst the Ghetto Circle “no doubt would discuss whether he was an anti-Semite.” The Jewish Guardian concluded that this “seemed a very fair division of labour” . In conclusion, the fact that some Jews have defended Chesterton as a saint does not prove that he was not an antisemite; and in fairness, the fact that some Jews have argued that he was an antisemite does not by itself prove that he was. The case must be decided on the basis of the evidence (i.e. what he wrote as a journalist and author) and not the claim that some Jews have defended him, or the myth that the Wiener Library defends him. 1. Richard Ingrams, “More sinner than saint,” Tablet, 12 October 2013, 9. 2. G. B. Stern, The way it worked out (London: Catholic Book Club, ), 106. See also G. B. Stern, All in Good Time (London: Sheed and Ward, ), 63. 3. Joseph Pearce, Wisdom and Innocence: A Life of G. K. Chesterton (London: Hodder and Stoughton, 1996), 448. 4. “A Reckless Charge,” Jewish Chronicle, 14 June 1918, 4. 5. G. K. Chesterton, At the Sign of the World’s End, New Witness, 21 June 1918, 148. 6. Leopold Greenberg [Mentor, pseud. ], “Hit Back! Hit Back! Hit Back!,” In the Communal Armchair, Jewish Chronicle, 11 October 1918, 7. 7. See Jewish World: “Englishman and Jew” and “An Astounding Statement,” 23 June 1920, 3-4; “Mr. Belloc and the ‘Jewish World,’” 14 July 1920, 2-3; “Now then, Mr. Chesterton!,” 21 July 1920, 3; “Our Challenge to the ‘New Witness,” 28 July 1920, 3; “The Witness,” 18 August 1920, 3; “Mr. Chesterton and the ‘Jewish World,’” 25 August 1920, 2; “Mr. Chesterton and the ‘Jewish World,’” 1 September 1920, 2; “Mr. Chesterton and the ‘Jewish World,’” 8 September 1920, 8-9; “Mr. Chesterton’s ‘Roll,’” 22 September 1920, 2. 8. “Why?,” Around the World, Jewish World, 22 September 1920, 2. 9. Dean Rapp, “The Jewish Response to G. K. Chesterton’s Antisemitism, 1911-33,” Patterns of Prejudice, vol. 24, nos. 2-4, 1990. 10. G. K. Chesterton, The New Jerusalem (London: Thomas Nelson, ), 227, 248. 11. “‘G.K.C.’ in Jerusalem,” Jewish Guardian, 3 December 1920, 7. 12. “Mr. G. K. Chesterton at the Ghetto Circle,” Jewish Guardian, 11 November 1921, 4. As Heather Saul in the Independent observes, today’s “Google Doodle” (15/10/2013) celebrates the “169th birthday” of the philosopher Friedrich Nietzsche. As G. K. Chesterton’s “holiness” and “antisemitism” are currently being discussed and debated in various internet forums, it seems an opportune moment to look at some of his exchanges with Oscar Levy, a prominent German Jewish Nietzsche scholar in the early twentieth century. Oscar Levy was probably the main advocate of Nietzsche’s ideas in Britain during the early decades of the twentieth century (he settled in Britain in the 1890s and he described himself as “a Nietzschean Jew”). 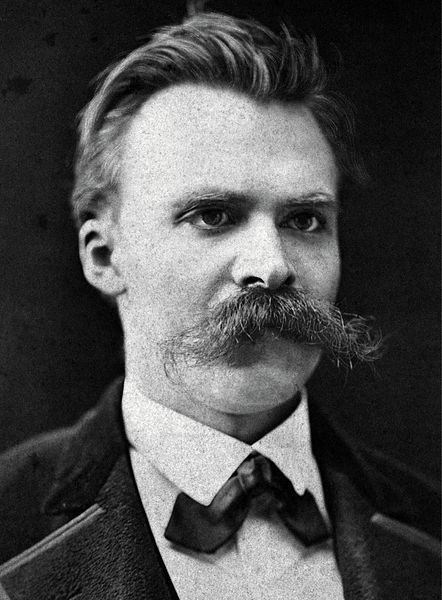 Like Nietzsche, he was also deeply critical of Judaism and Christianity. According to Professor Dan Stone, Levy’s essential position was as follows: “modern European society is degenerating because it is bound to an effete moral value system; these effete values derive from Judaism”. Levy argued that “this Jewish ethic was taken a step further by Christianity, which is a ‘Super-Semitism’” . Following Nietzsche, Levy argued that Christianity was a development of Judaism, and that both were manifestations of a slave mentality. According to Levy, “the Semitic idea has finally conquered and entirely subdued this only apparently irreligious universe of ours.” He stated that “it has conquered it through Christianity, which of course, as Disraeli pointed out long ago, is nothing but ‘Judaism for the people’” . Clearly Levy and Chesterton could not have been more diametrically opposed to each other when it came to their views on Nietzsche (and Christianity). Chesterton dismissed Nietzsche on a number of occasions as a raving madman; Levy celebrated Nietzsche as a clear-sighted diagnostician. However, they shared one thing in common: they both viewed and portrayed Bolshevism with concern if not disdain. Their essays and articles were peppered with disparaging remarks about Bolshevism, and they both suggested that Bolshevism was a Jewish movement. Discussing “the Jewish element in Bolshevism,” Chesterton argued that “it is not necessary to have every man a Jew to make a thing a Jewish movement; it is at least clear that there are quite enough Jews to prevent it from being a Russian movement” . He stated that “there has arisen on the ruins of Russia a Jewish servile State, the strongest Jewish power hitherto known in history. We do not say, we should certainly deny, that every Jew is its friend; but we do say that no Jew is in the national sense its enemy” . When Levy argued that Bolshevism was a Jewish movement, Chesterton and Belloc at first believed they had found a Jew they could identify with and support. They either ignored or did not notice his criticisms of Christianity. When the British Home Office arranged for Levy to be expelled from Britain, they argued that the Jews had arranged it in revenge for his deprecating remarks about Judaism. Belloc wrote in The Jews in 1922 that “the case of Dr. Levy turned out of this country by his compatriots in the Government for having written unfavourably of the Moscow Jews will be fresh in every one’s memory” . 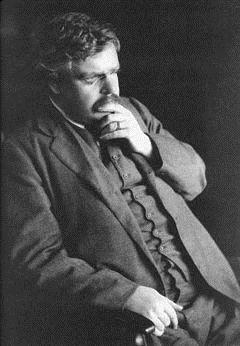 Referring to Dr Oscar Levy, Chesterton stated in 1926 that he had “a great regard for him, which is more than a good many of his countrymen or co-religionists can say.” According to Chesterton: “He is a very real example of a persecuted Jew; and he was persecuted, not merely by Gentiles, but rather specially by Jews. He was hounded out of this country in the most heartless and brutal fashion, because he had let the cat out of the bag; a very wild cat out of the very respectable bag of the commercial Jewish bagman. He told the truth about the Jewish basis of Bolshevism, though only to deplore and repudiate it” . After supposedly defending Levy from the Jews, Chesterton must have felt a little disappointed with Levy’s reply. Oscar Levy wrote to Chesterton, pointing out that he was not driven out of England by Jews at all, that the astonishing thing was that his statements about Jews and Judaism had “created so little stir amongst them,” and that the Jewish Chronicle and Jewish World had supported him against the decision by the Home Office . Levy argued that Bolshevism was more closely related to Christianity than to Judaism. In this he was of course constructing a caricature of Christianity and so-called Christian Bolshevism in much the same way that Chesterton caricatured Jewish culture and so-called Jewish Bolshevism. He denied that “these Russian Jews, who are Jews in race, are also Jews in spirit.” “They are not,” he concluded, “they are really Christians. The Jewish mind has a great affinity to Christianity: the first Christians were one and all Jews, and these latter-day Jews are likewise all imbued with the Christian Spirit (though they themselves are entirely unaware of this). But the Jew on the whole is not a Christian …” According to Levy, “the doctrine of the Bolshevists is then – au fond – a Jewish doctrine, in as much as Christianity is a Jewish creed.” . The idea that the Anglo-Jewish community pulled the strings of the Home Office to arrange for Levy to be removed from Britain was simply a Bellocian and Chestertonian antisemitic invention. In fact it was not only the Jewish Chronicle and Jewish World (the two most prominent Anglo-Jewish newspapers at the time) that argued that Levy should be allowed to stay. The other prominent Anglo-Jewish newspaper, the Jewish Guardian, also defended his right to stay in Britain. The Jewish Guardian expressed relief that the Chief Rabbi added his name to the appeal to allow Oscar Levy to stay. The Jewish Guardian did not admire Oscar Levy’s views or his decision to write a preface for George Lane-Fox Pitt-Rivers (an antisemitic conspiracy theorist), but it did not believe that it was right for an Act of Parliament to be administered against Levy on the basis of his philosophical theories . 1. Dan Stone, “Oscar Levy: A Nietzschean Vision,” in Breeding Superman: Nietzsche, Race and Eugenics in Edwardian and Interwar Britain (Liverpool: Liverpool University Press, 2002), pp.12-32. 2. Oscar Levy, “Prefatory Letter,” in George Lane-Fox Pitt-Rivers, The World Significance of the Russian Revolution (Oxford: Basil Blackwell, 1920), vi. 3. G. K. Chesterton, “The Beard of the Bolshevist,” At the Sign of the World’s End, New Witness, 14 January 1921, p.22. 4. G. K. Chesterton, “The Feud of the Foreigner,” At the Sign of the World’s End, New Witness, 20 August 1920, p.309. 5. Hilaire Belloc, The Jews (London: Constable, 1922), p.193, footnote 1. 6. G. K. Chesterton, “The Napoleon of Nonsense City,” Straws in the Wind, G.K.’s Weekly, 14 August 1926, pp.388-389. 7. Letter from Oscar Levy to the editor of G.K.’s Weekly, “Dr. Oscar Levy and Christianity,” The Cockpit, 13 November 1926, p.126. For examples of these newspapers defending Oscar Levy’s right to stay in England, see “Dr. Oscar Levy,” Jewish Chronicle, 16 September 1921, p.10; “Dr. Oscar Levy,” Jewish Chronicle, 30 September 1921, p.10; “Dr. Oscar Levy,” Jewish Chronicle, 7 October 1921, p.7; “The Case of Dr. Oscar Levy,” Jewish World, 4 May 1922, p.5. 8. Letter from Oscar Levy to the editor of G.K.’s Weekly, “Mr. Nietzsche Wags a Leg,” The Cockpit, 2 October 1926, 44-45; Letter from Oscar Levy to the editor of G.K.’s Weekly, “Dr. Oscar Levy and Christianity,” The Cockpit, 13 November 1926, p.126. 9. See “The Case of Dr. Levy,” Jewish Guardian, 14 October 1921, pp. 1, 3.